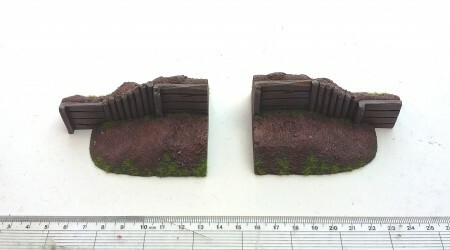 Suitable for 28mm or 1/56 scale figures and fully cast in resin, you get both the left & right sided piece in the pack. 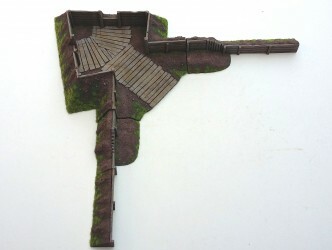 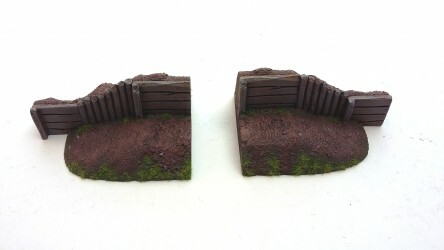 These can be used to connect a (linked) Gun Bastion to the either of the Breastwork sets giving you even more variation for your field defences. they can also be used (in conjunction with the Gateway Side pieces) to provide a raised defensive entry point through the Breastworks. 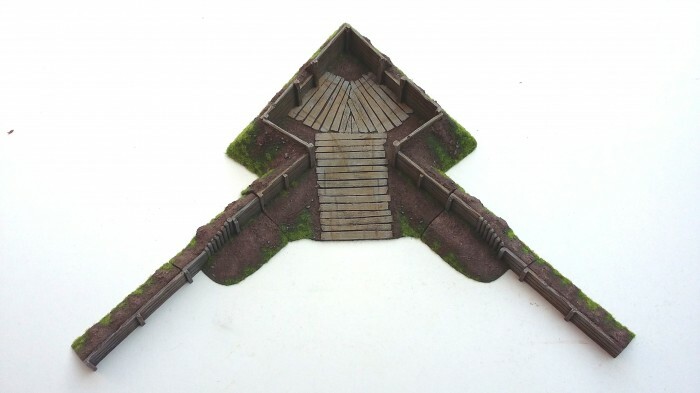 The pictures should explain better than my wording!